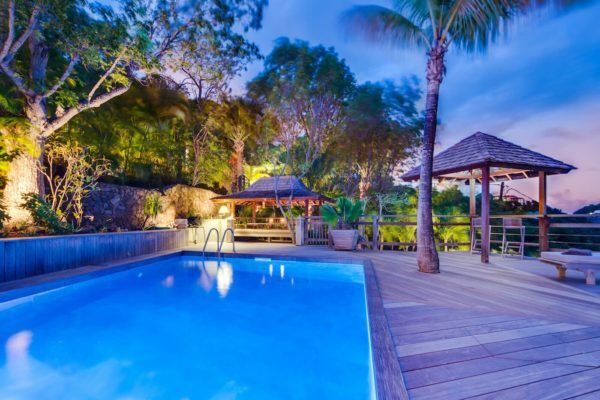 Villa Lagon Vert is in the private Domaine du Levant, in Petit-Cul-de-Sac. 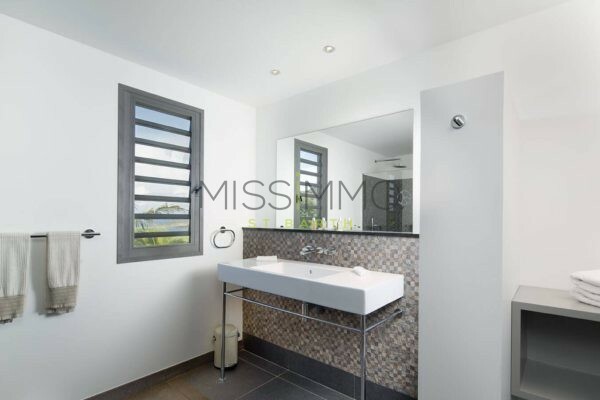 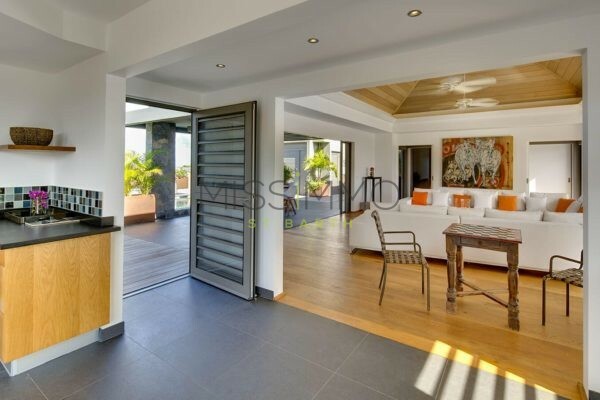 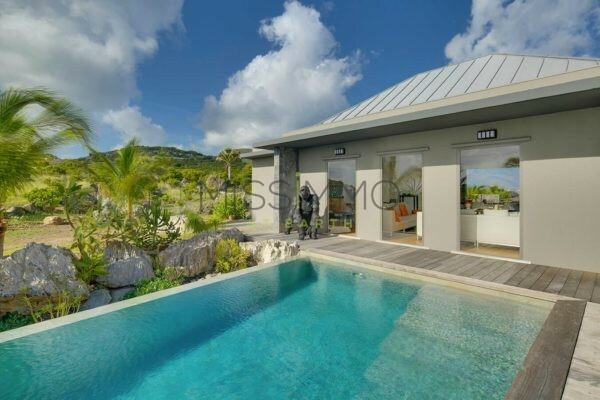 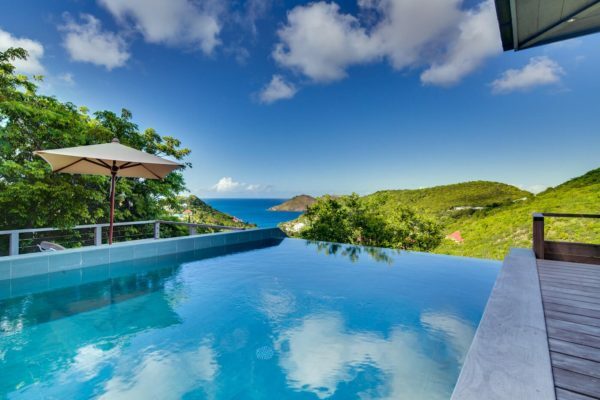 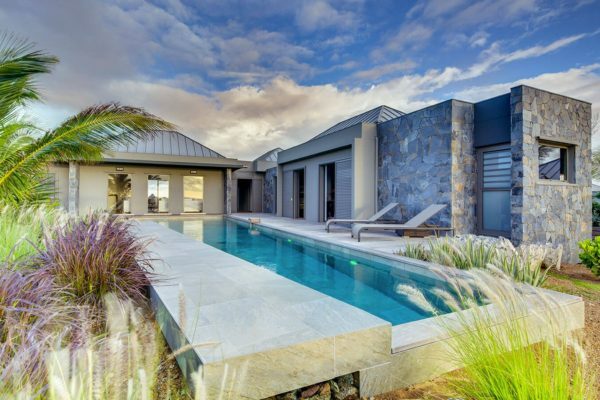 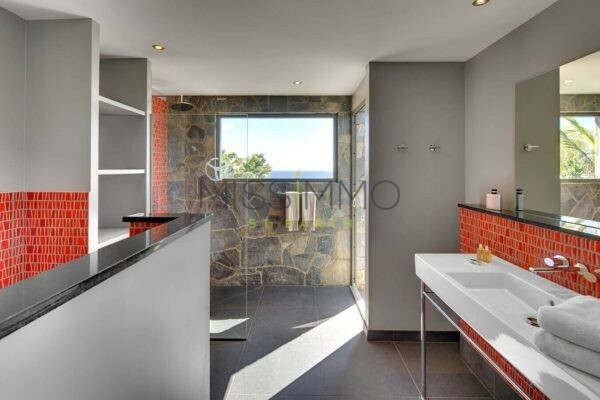 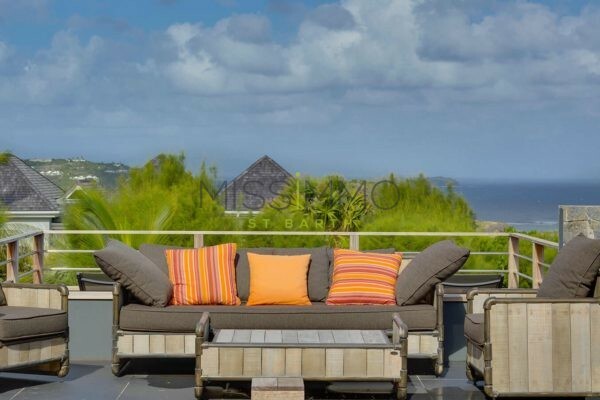 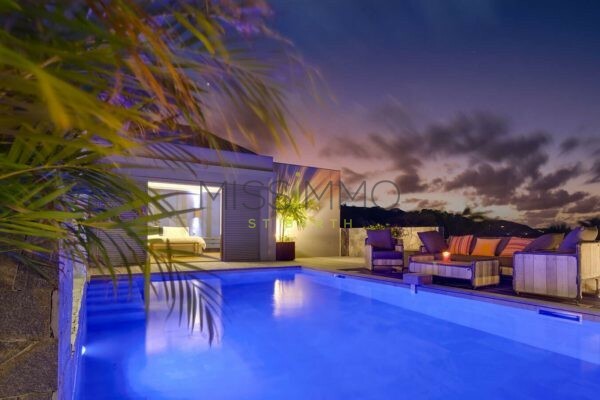 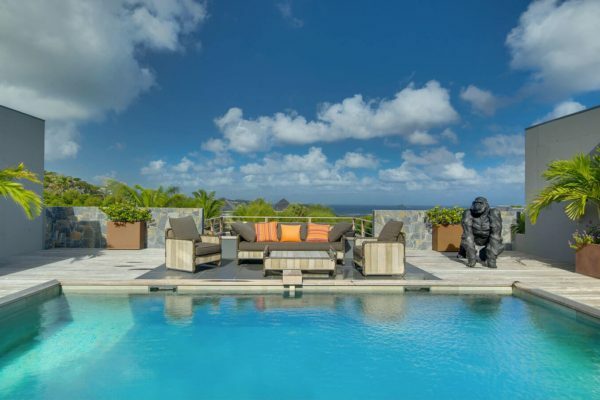 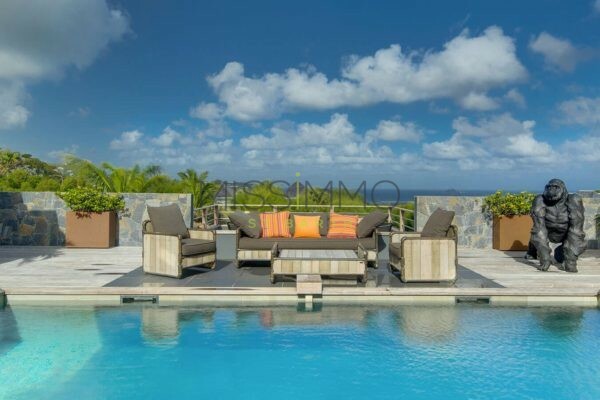 This property is a brand new construction with great design in addition to an exceptional view. 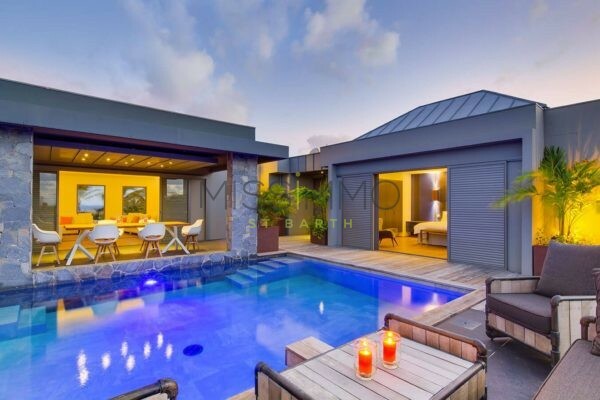 The villa is in a clean and also contemporary style. 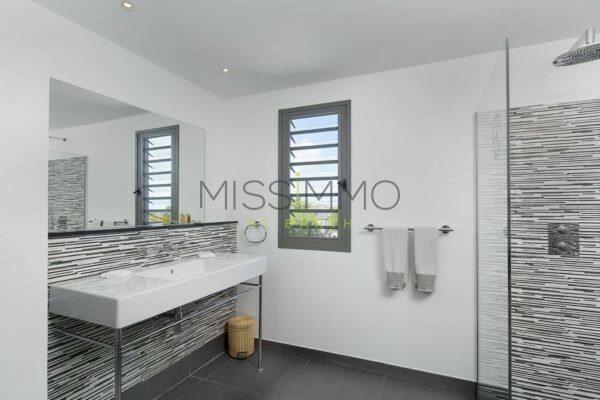 This 3 bedroom’s home provides its guests the convenience of all-on-one-level living. 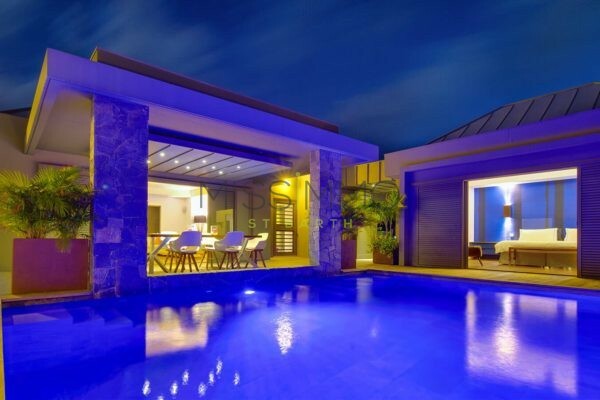 One pool is located on the front, at the entrance of the villa. 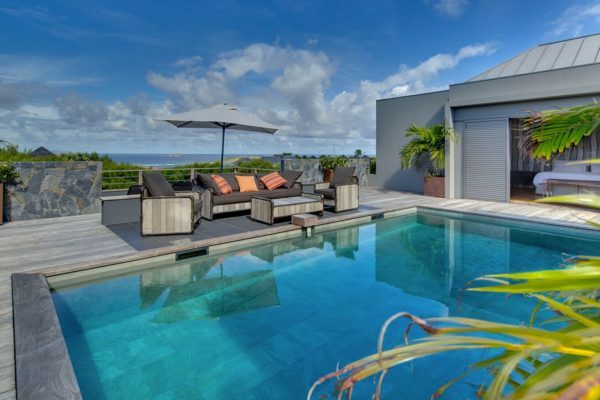 A second one (long swim lane) is at the back with gorgeous ocean views. 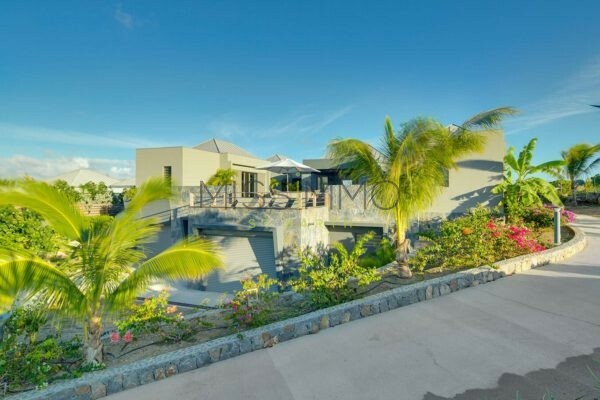 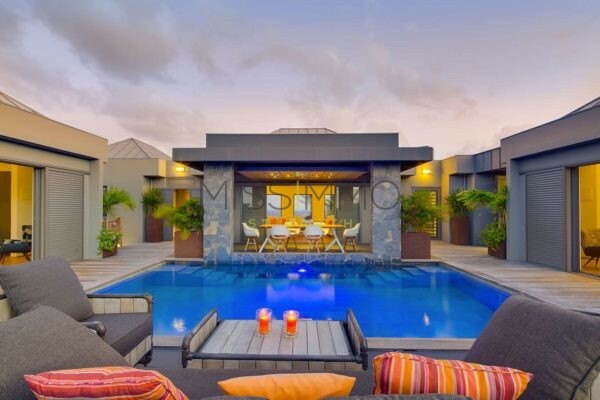 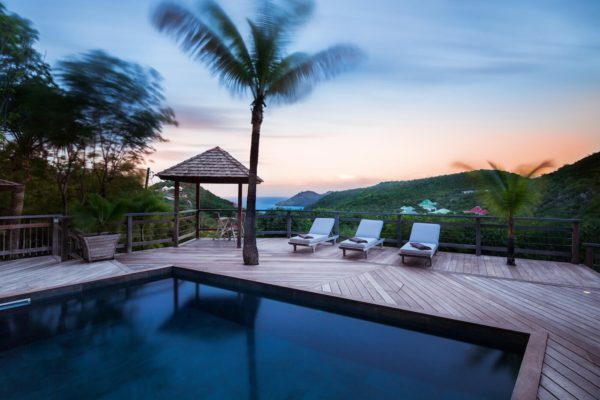 For large groups, Villa Petit Lagon can be combined with other similar nearby as villa Lagon Bleu (5 bedrooms) Villa Petit Lagon (2 bedrooms), Villa Lagon Jaune (4 bedrooms), Villa Lagon Rose (5 bedrooms) for as much as 19 bedrooms and 7 pools. 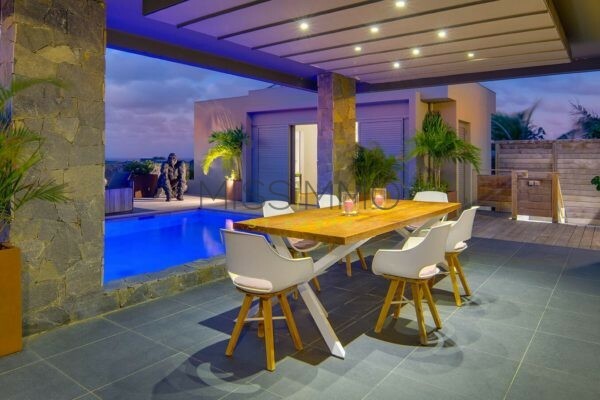 2 Pools – Gas Barbecue – Lounge chairs – Dining table. 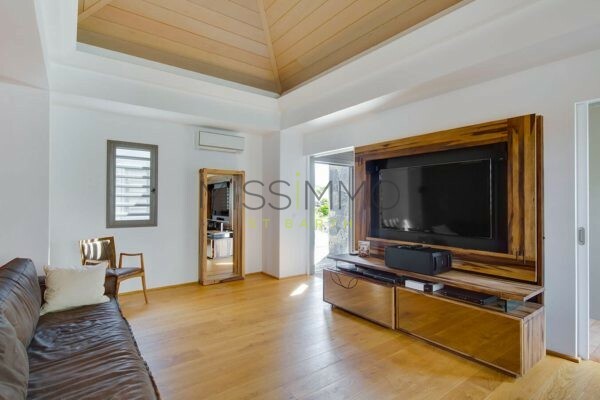 Sofas – Sound system – TV Room with French & US Satellite – Air conditioning – WiFi. 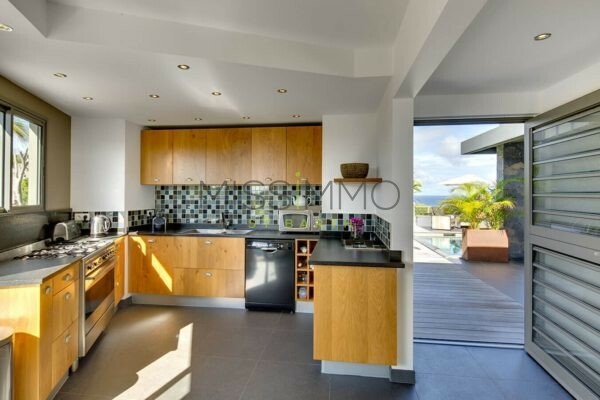 Equipped for 12 guests: Fridge – Freezer – Cooktop – Blender – Dishwasher – Microwave – Coffee maker (Regular & Espresso) – Toaster – Oven – Juicer – Kettle – Ice machine. 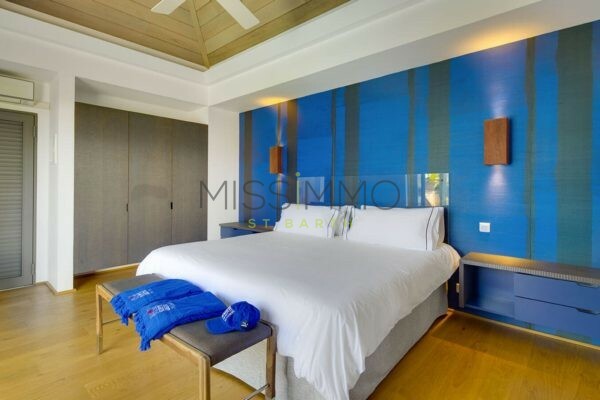 Air conditioning – King Size Bed (also Convertible in Twin Beds) – Mosquito net – Safe – Bathroom with shower. 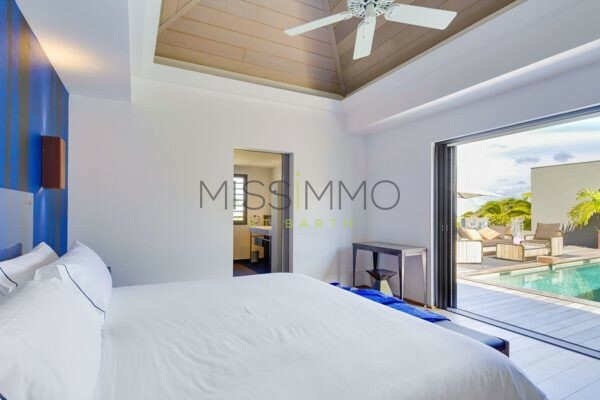 Air conditioning – Euro King Size Bed (also Convertible in Twin Beds) – Mosquito net – Safe – Bathroom with shower.